Amazon Offers Refunds For Children's Unauthorized In-App Purchases : The Two-Way The Federal Trade Commission sued the retail giant over charges incurred by kids using apps. Both sides dropped their appeals so the refunds could begin. In accordance with a court ruling, Amazon has begun offering refunds for certain unauthorized, in-app purchases made by children. Amazon is offering customers refunds for unauthorized charges their children have incurred playing games from the company's Appstore. The move comes nearly three years after the Federal Trade Commission sued Amazon in federal court over in-game charges that shocked unsuspecting parents. 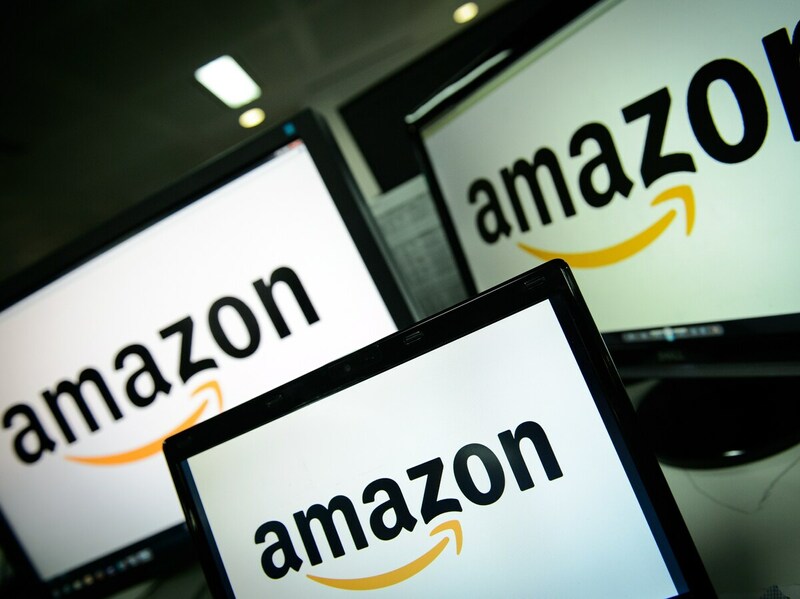 "Amazon's in-app system allowed children to incur unlimited charges on their parents' accounts without permission," the FTC's then-Chairwoman Edith Ramirez said when the lawsuit was filed. A judge concurred and the FTC says the company has agreed to refund up to $70 million in unintended charges. Amazon spokesman Jonathan Richardson said in a statement to NPR: "We have contacted all eligible customers who have not already received a refund for unauthorized charges to help ensure their refunds are confirmed quickly." If you believe your child made an in-app purchase without your permission between November 2011 and May 2016, you may be eligible for a refund. The FTC says you can visit this Amazon webpage or log into your Amazon account and look in the Message Center under "Important Messages." Or you can call Amazon at 866-216-1072. Refund requests are due by May 28, 2018. Julie Comeaux is one of many parents who had no idea her daughter was continually spending money inside a game on her new Amazon Kindle. Comeaux described on Morning Edition last month how she typed in her password once to approve a $5 in-app purchase—then left the Kindle with her daughter. "When we checked the account and we saw hundreds of charges from Amazon, it totaled near $10,000," Comeaux said. "She cried. I had to calm her down," Comeaux recalled. "She was very upset, didn't know she was spending real money." According to the FTC complaint, games often blur the lines between what kids can buy with virtual currency and what they're buying with actual money. It cited the app Ice Age Village, in which players can use virtual coins and acorns to buy items — and can also pay real money to buy more of the virtual currencies, on a screen that looks very similar. But Amazon's Richardson said Wednesday, "Since the launch of the Appstore in 2011, Amazon has helped parents prevent purchases made without their permission by offering access to parental controls, clear notice of in-app purchasing, real-time notification for every in-app purchase and refund assistance for unauthorized purchases." The FTC asked the court to require that Amazon refund unauthorized charges and to prevent it from billing account holders for future in-app charges without their consent. A year ago, federal district court Judge John Coughenour agreed to the refunds. He wrote: "The Court determines that the scope of Amazon's unfair billing practices pertains to all in-app charges made by account users without express, informed authorization." But he denied the FTC's request for the future billing ban. Richardson noted, "The Court here affirmed our commitment to customers when it ruled no changes to current Appstore practices were required. To continue ensuring a great customer experience, we are happy to provide our customers what we have always provided: refunds for purchases they did not approve." The FTC appealed the judge's decision in hopes of securing a future ban, and Amazon appealed the refund order. Last month, both sides agreed to drop their appeals so the refund process could begin. According to the FTC, when Amazon introduced in-app charges in its Appstore in November 2011, it didn't require any password to spend real money inside an app. In March 2012, the FTC said, the company updated its system to require the account owner to enter a password for single purchases over $20. That meant children could still make an unlimited number of purchases under $20 each. Then in early 2013, Amazon began requiring a password for some charges, the FTC said. But even when a parent authorized a single charge, that permission sometimes lasted for up to an hour, allowing children to make more purchases without new authorization. "Not until June 2014, roughly two and a half years after the problem first surfaced," did Amazon begin to require account holders' consent for in-app charges on its newer mobile devices," the FTC explained in a statement. The judge's ruling noted that, "By December 2011, (Amazon Appstore Director) Aaron Rubenson referred to the amount of customer complaints as 'near house on fire.'... Rubenson also referred to 'accidental purchasing by kids' as one of two issues the company needed to solve." Amazon was the holdout in the FTC's crackdown on unwitting in-app purchases. It made similar claims against Google and Apple and those companies both settled. Google agreed to refund $19 million and Apple agreed to refund $32 million to eligible customers.